I was on vacation on June 16-24, 2018. During that time I had two FM Es openings: one on 6/20/18 while I was outside of New York, NY, which lasted 100 minutes and brought in 26 stations from the Midwest and Upper Midwest. This opening was very strong, with many distant signals toppling the local NYC FM stations in a manner that I haven’t seen since 2016. Another respectable opening into the same general area was also observed on 6/26/18 while I was in Providence, RI, with a few RDS decodes but not as strong as the NYC opening. Within the same time period and weeks thereafter, reports of top-of-the-band FM Es from other DXers flooded into online propagation logger websites several days in a row. It seemed like the 2018 season was going to go down in the history books as a great season, but then July happened. I saw no real strong FM Es openings in July. This tends to mirror the 2015 season without any July openings whatsoever, and it was the reverse of the 2016 season, where there were only a few openings in June but many in July. Northern Virginia hasn’t seen a full two-month FM Es season since 2014. 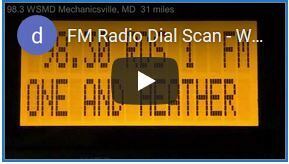 The ironic thing was that other DXers–especially those less than 150 miles away from me in Virginia, Maryland, and Pennsylvania–often had all-day, sustained FM Es openings with a 107.9 MUF in July 2018. This also meant that the only respectable openings I got to DX were the two June ones while I was on vacation. The thought of only having two workable openings in one FM Es season would’ve been unfathomable a decade ago. For years, FM Es often happened twice a day: roughly between 10 AM and 12 PM, and then again from 7 PM and went on into the 9 PM hour, if not later (see an example of a late-evening opening here from 7/15/16). The latter ‘time slot’ conveniently coincided when I would come home from work, meaning I was able to DX almost any FM Es opening that materialized. When I was in college prior to 2011, the morning time slot often fell during a period between classes when I could DX. 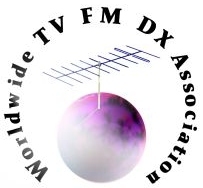 Life was good, and FM DXing fit my schedule. By 2018, Sporadic E largely followed the standard “9 AM – 5 PM, Monday-Friday” work schedule, as if it was controlled by a human in an office. The majority of the 2018 openings observed by me, as well as those reported online by others, ended by 5 PM or were starting to lose its strength by that time. Only one opening (6/20/18 outside New York, NY) that I worked this year had sustained reception into the 8 PM hour. Likewise, out of 8 openings in 2018, only one of them occurred on the weekend: 6/26/18 in Providence, RI, even though I was home and available to DX eight weekends (16 days total) over the duration of this season. This phenomenon is strange, given that there have been an overall increase of FM Es openings in 2018 nationwide for other DXers compared to last year. These openings almost all occurred during normal weekday business hours. Why would Sporadic E disappear when people are coming home from work, and why would it stay away until people returned to work the following Monday? I wish I had an answer. Sporadic E is a mystery. It always has been. It’s one of the few things that scientists can’t figure out, even after almost 80 years of it being observed on broadcast frequencies. There are some good theories as to why it happens, but nobody knows for sure. I predict that the 2019 FM E-Skip season will be a mirror of 2018’s season with some great openings, most of them happening during the “9-5, M-F” schedule. Even though 2018 had overall gains across the board compared to the 2017 season, a lot has to happen before FM Es can reach the levels it was at a mere decade ago.